The situation at the Russian border remains virtually unchanged as trucks from Lithuania continue to be subjected to thorough checks, Algimantas Kondrusevičius, president of the national haulers' association Linava, said on Monday, adding that the flow of Lithuanian trucks to Russia has declined sharply over the past week. "The situation is virtually the same as it was last week. (Lithuanian trucks) at the Latvian-Russian border are directed to tightened checks, but, as far as we know, Lithuanian truckers are no longer keen to go through that border point. 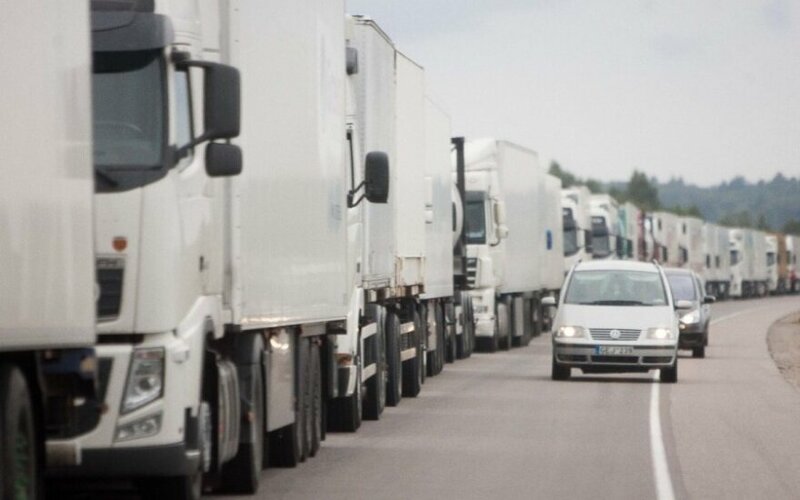 Out of 200 trucks that waited (to cross the border) on the weekend, around 15 were Lithuanian," Kondrusevičius told BNS. Lithuanians now prefer to drive via the Belarusian-Russian border, where the clearance procedures are faster, the association's president said. It is not only haulers that are affected by the restrictions. Warehousing services providers in Lithuania are losing customers as well, he said. Meanwhile, Mečislovas Atroškevičius, president of the Association of Small and Medium-sized Haulers, said that that the rate at which vehicles clear customs and are allowed to cross from Latvia into Russia has increased somewhat, but around 100 Lithuanian are still waiting to be inspected. "There are no major breakthroughs. The border throughput has increased somewhat, but that does not apply to the vehicles stopped for a full inspection. Around 100 trucks are waiting for a 100 percent inspection," he said on LRT Radio on Monday morning. Border checkpoints can perform two to three such thorough inspections per 24 hours, because they do not have the necessary infrastructure, Atroškevičius said. He also said that it is easier for Lithuanian trucks to cross into Russia from Belarus. The Russian customs office imposed a similar measure on Lithuanian trucks in the autumn of 2013, when Lithuania held the EU's rotating presidency. The restrictions remained in place for around a month. Lithuania has asked the European Commission to help resolve the situation.